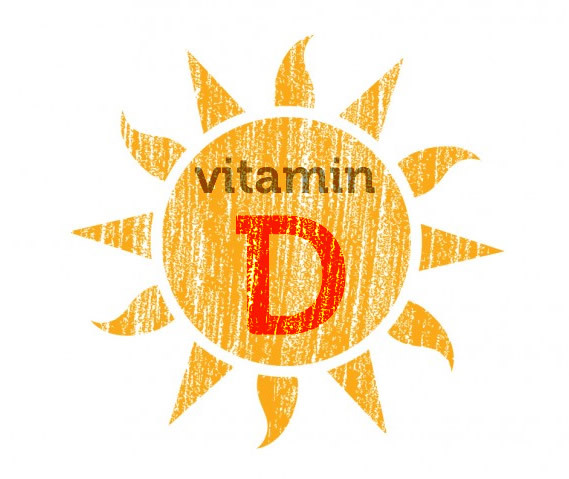 Vitamin D – the vitamin we all need. As you may know, we get most of our vitamin nourishment from foods that we ingest. However, in the case of Vitamin D, there are not enough rich food sources to provide the adequate amount of vitamin D.
Vitamin D (D3 cholecalciferol) is created under the skin by ultraviolet light (UVB) exposure. In northern climates such as in Canada, in the winter we simply are not exposed to enough sunlight to manufacture the adequate amount of Vitamin D.
Bare skin needs to be directly exposed to UVB rays between 10am-2pm for at least 15 minutes each day to produce enough vitamin D. Lotions, windows and clothing can all prevent the manufacturing of Vitamin D. Vit. D also takes a fair amount of time (up to 48 hours) to travel through the skin into the bloodstream, so it is actually is possible to wash away Vitamin D while showering. Hence, we always suggest supplementing with a high quality oral Vitamin D, particularly D3. The Canadian Cancer Society suggests 1100 IU of vit. D a day for an adult. For adults, research also suggests a minimum of 4000 IU of vit. D a day during the winter months up to 10000 IU. According to Dr. Zoltan Rona (Vitamin D, The Sunshine Vitamin), “Vitamin D deficiency leads up to as much as 60% increase in cancer rates. 16 different types of cancer can be prevented by higher rates of Vitamin D”. There have been direct correlations of high rates of colorectal cancer and those living in northern regions with less sun exposure. Studies showed that blood levels between 33 and 41ng/ml of Vit. D were five times less likely to develop colon cancer. Vitamin D3 appears to retard breast cancer by regulating cell cycles and forcing cancer cell death. There also appears to be a correlation between sun exposure and a lower risk of breast cancer. Those living in sunny regions were 3 times less likely to develop breast cancer. Low blood levels of Vit. D show a strong correlation with prostate cancer. Men were 3 times more likely to develop prostate cancer if blood levels were below 40ng/ml (Merja Ahonen et all, 2000). For those with advanced prostate cancer, dosages of 2000IU a day showed a reduction or prevented increases in PSA (Rheinhold Vieth et all, 2004). Vitamin D is shown to support the immune system, prevents inflammation and increases white blood cell activity. “A 2010 study demonstrated the effectiveness of vit. D as a preventive strategy against influenza with children taking just 1,200 IUs of vitamin D3 per day, which is considered a low dose, were shown to be 42 percent less likely to come down with the flu” (Dr. Mercola). Coming down with the cold? John Cannell of the Vitamin D Council suggests high dosing of 50000IU to be consumed for 3 days at the first sign of a cold or the flu. Before starting any supplement protocol, we suggest talking to your health care professional to go through any precautions.